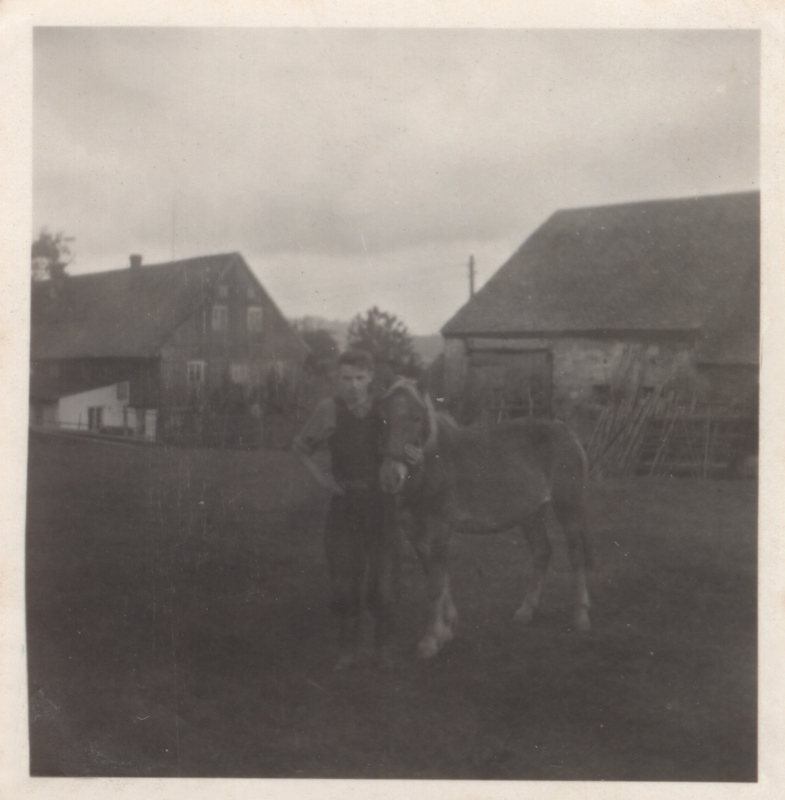 A young man standing with his horse. In the background in a house and barn. “Young man and his horse,” Srbska, accessed April 25, 2019, http://srbska.org/items/show/108.